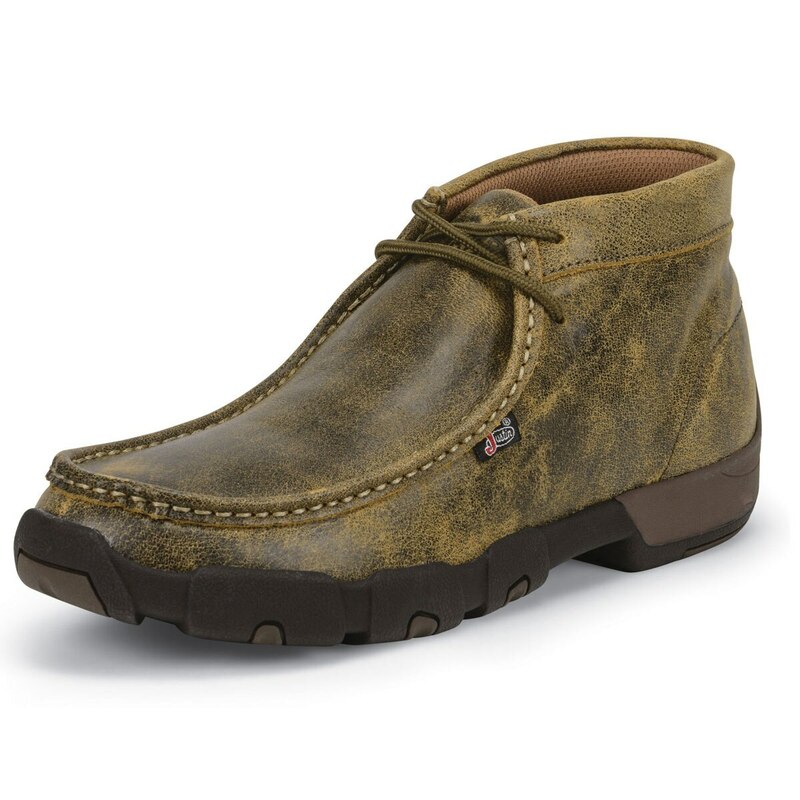 Kick back and relax in the Men's Waxy Dark Brown Driver Moc casual shoe. 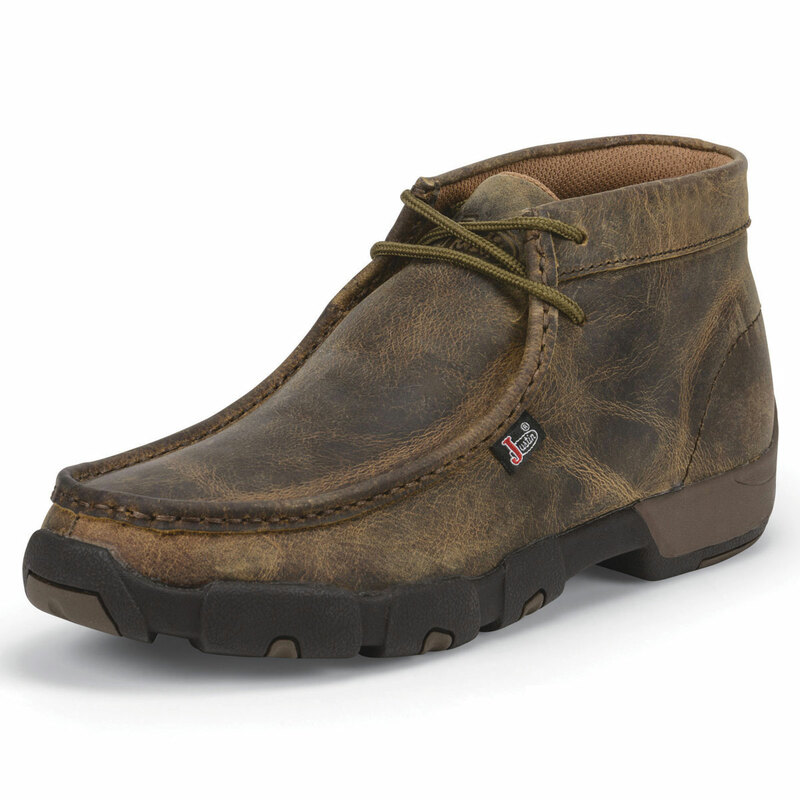 Crafted with care and made for comfort, the rugged brown leather exterior gives this boot a lived-in look. The leather laces are durable to everyday wear and tear and its traditional moccasin toe provides a relaxed fit. The removable orthotic insole allows for added cushion and support and the black rubber outsole guarantees traction on various surfaces and an extended lifetime of wear.